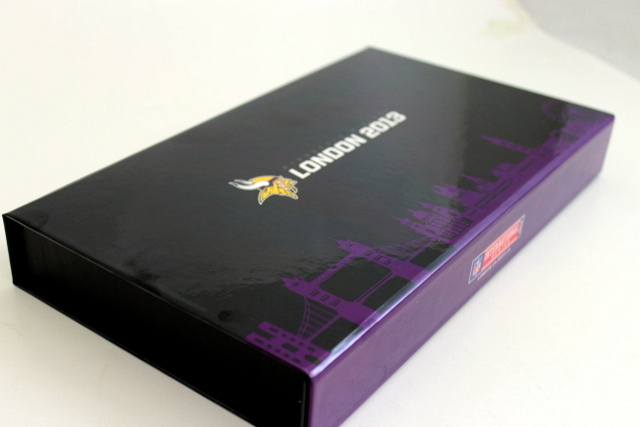 With the value of many pro sports franchises now worth well over one billion dollars according to Forbes, It is extremely imperative for their custom presentation packaging to be of the highest quality to represent their brand. Professional Sports team’s average brand value alone is worth 21% of total team valuation (i.e. Carolina Panthers team value $1.25 B, brand value alone $262 M) again according to Forbes. That is why we at Sunrise Packaging have been the “go to” for many custom prestigious presentation packaging projects that we have completed on behalf of various pro sports franchises. Our clients know we will deliver the elegant custom presentation packaging they are looking for to distribute to their top vendors, season ticket holders and various media outlets.